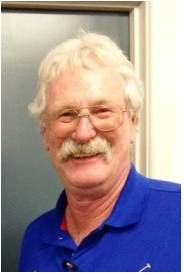 Alan will compete as the Geelong Bowls Region's representative with all other Victorian region winners in the Bowls Victoria Championships for Men's Over 60's Singles 2015/16 to be held at Bundoora RSL Bowls Club on 18th and 19th November. In his first knockout round on Wednesday at 10.00am he will play against Eastern Ranges' winner Norm Whitehead from Mulgrave CC. UPDATE: Alan has won through his two rounds Wednesday 18th Nov, defeating Norm Whitehead of Mulgrave and then John Lynch of Nhill, earning him a place in the last four. 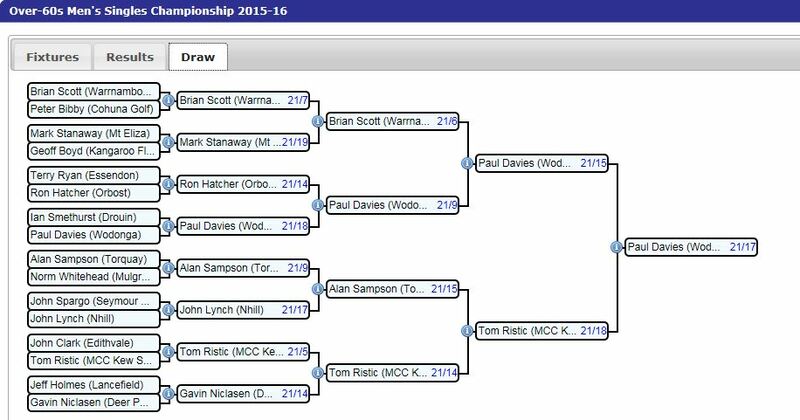 He will now play Thursday 19th November in the semi-final against Tom Ristic from MCC Kew Sports. UPDATE: Alan has finished equal third, beaten in the semi final by Tom Ristic in a close 21-18 match. Well done. Alan Sampson has played in the GBR Over 60s Singles competition over the last few days and has defeated Michael Allen from Ocean Grove in the final to win the competition. Alan won through earlier rounds against Frank Wheat and then Max Staggard, both from Highton, Owen Clark from Ocean Grove then Torquay's own Peter Whitmore in the semi final. Michael won through his rounds defeating Craig Elliott to earn a place in the final.